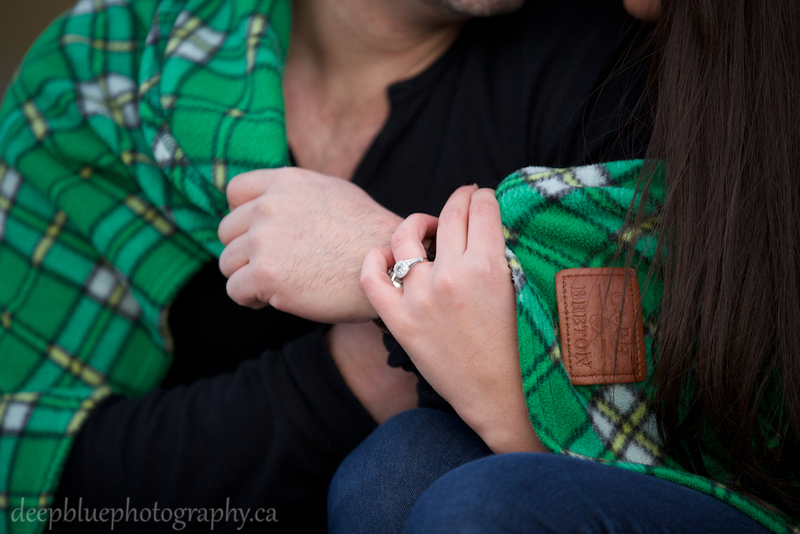 This Valentines Day we met up with Wayne and Mervit for their Alberta Legislature engagement pictures. 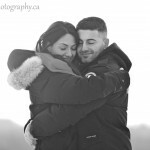 We met Wayne and his beautiful fiance Mervit on Valentines Day. 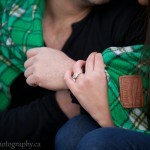 Mervit was in town for the weekend to meet with us and to finalize details for their upcoming wedding in May. 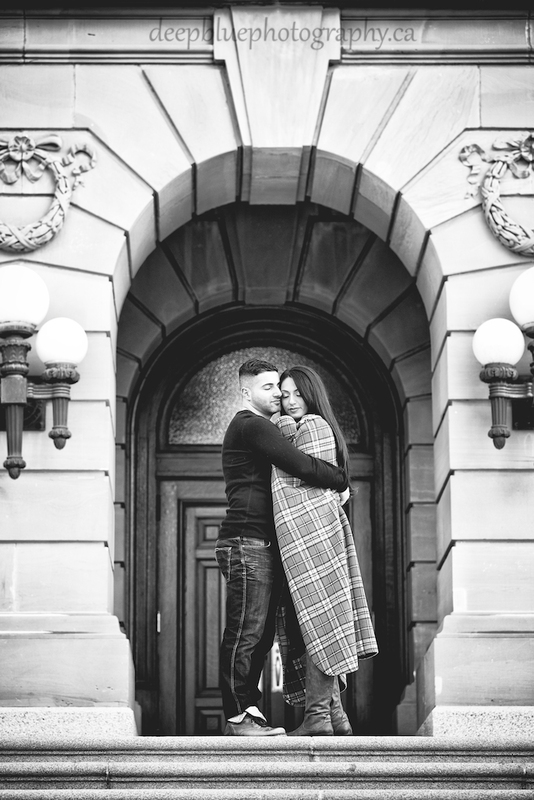 Not every couple could be as organized as efficient as these two – with schedules already set and nearly all of their details confirmed, Wayne and Mervit make it look easy! 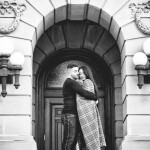 Their love (and wedding planning) spans the distance between Edmonton and Toronto, and while there may be some geographical space between these two love birds, we knew instantly that these two shared something very special…this is true love. 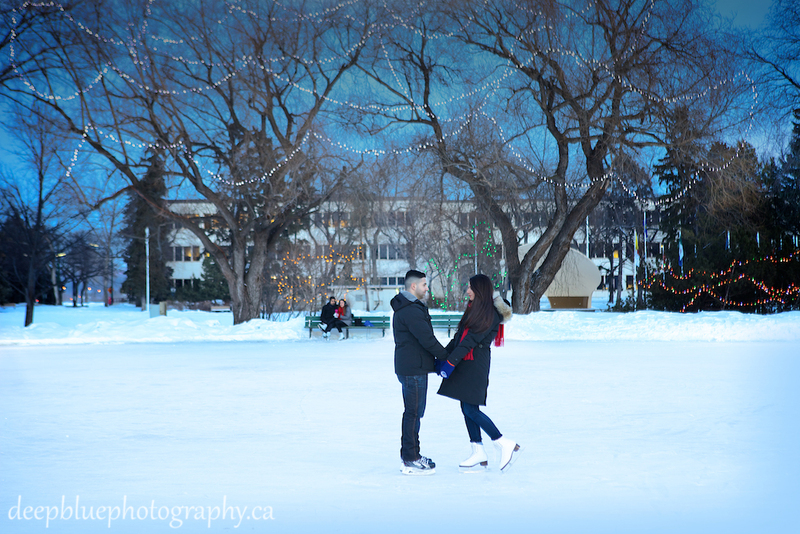 Wayne and Mervit met us at the Alberta Legislature the next afternoon for their romantic winter engagement portrait session – complete with some snuggles, a beautiful sunset and some ice skating! 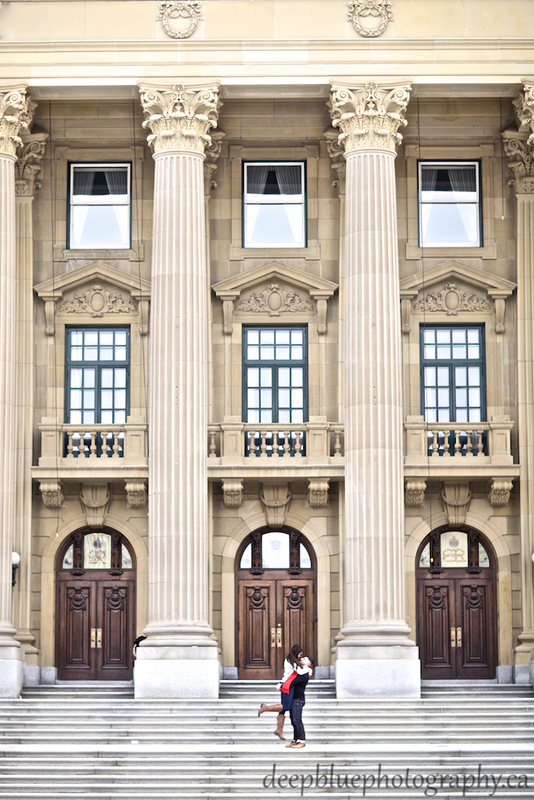 Thank you for inviting Deep Blue Photography to capture your Alberta Legislature engagement pictures! 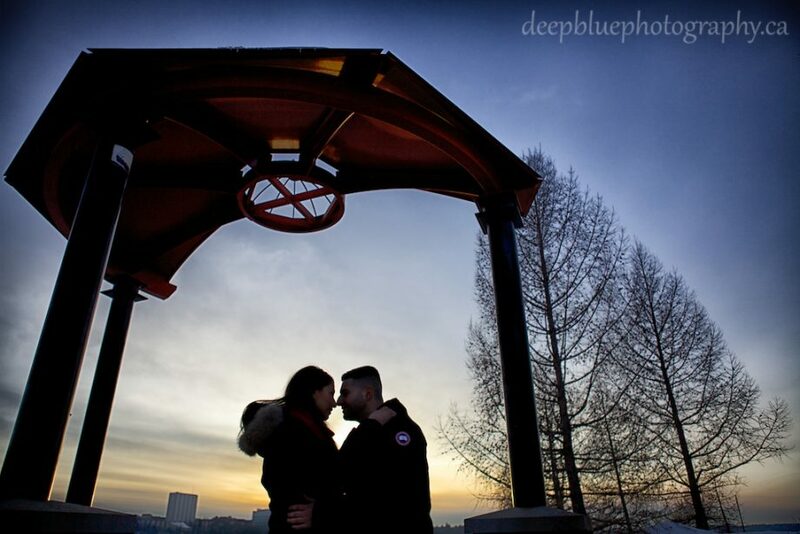 Sunset in Edmonton…almost as beautiful as this couple! 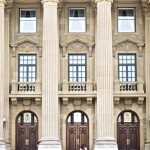 All consultations are done by appointment.